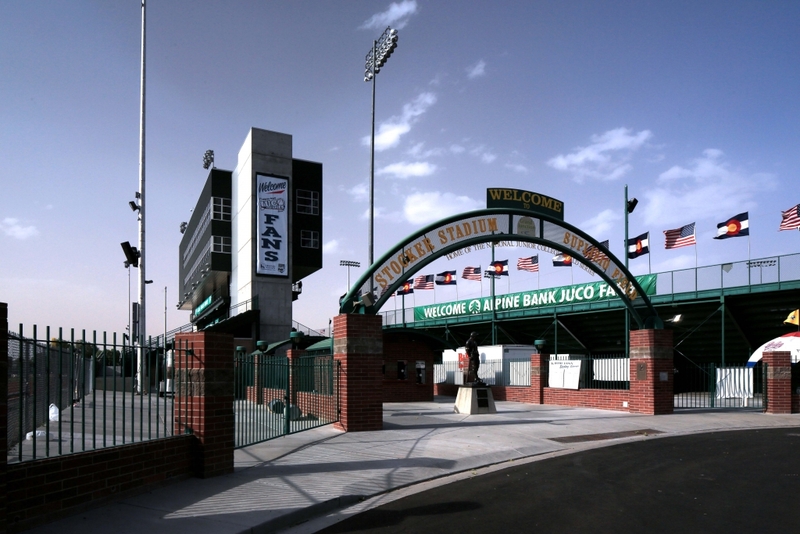 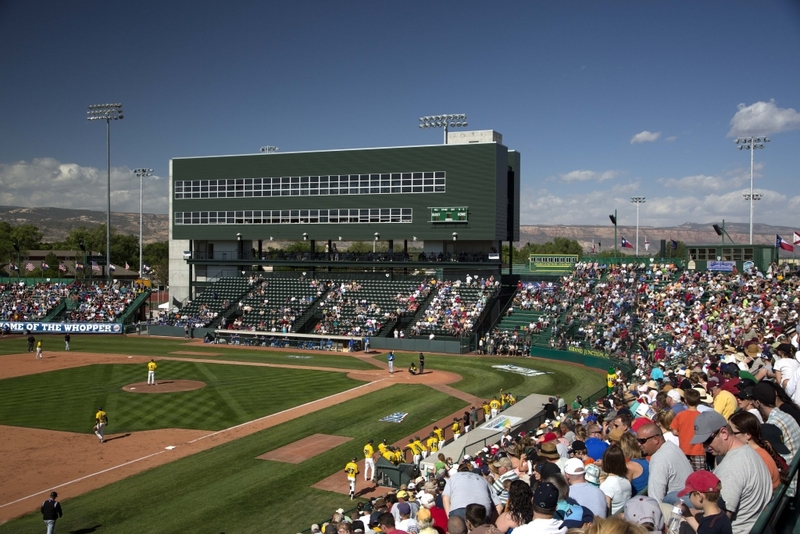 Grand Junction, CO | The Lincoln Park Stadium Improvement project was a design-build renovation of an athletic complex consisting of two distinct fields: Sam Suplizio Field, for baseball, and Ralph Stocker Stadium, for football and track. 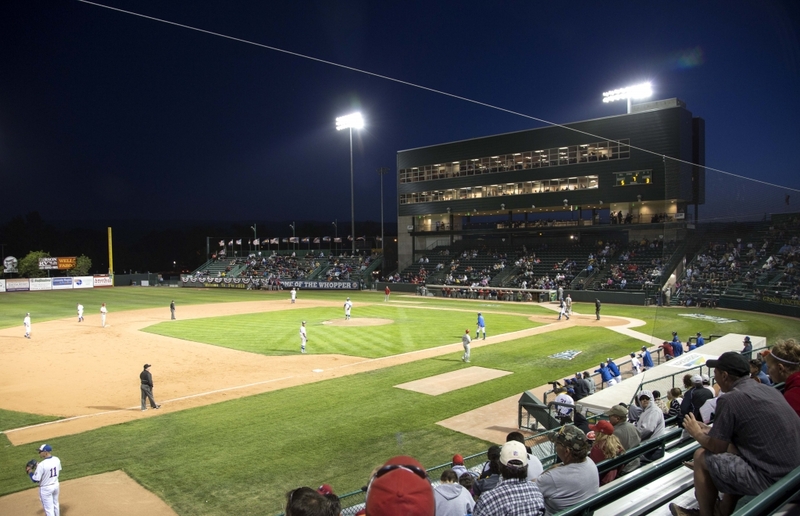 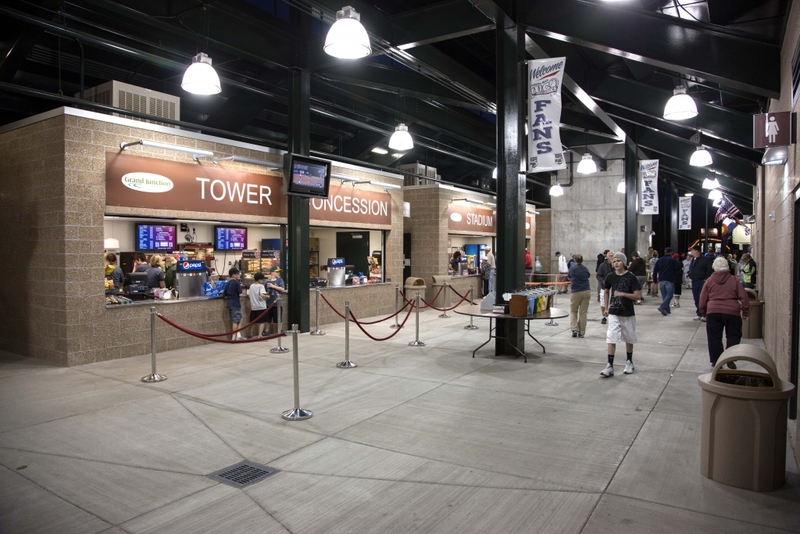 The project consisted of the construction of new seating, dugouts, press box, concessions and restrooms, locker rooms, and to upgrade ADA Accessibility, improve visibility by moving light poles from spectators’ field of view, and overall enhancements of the fans’ and players’ experience. 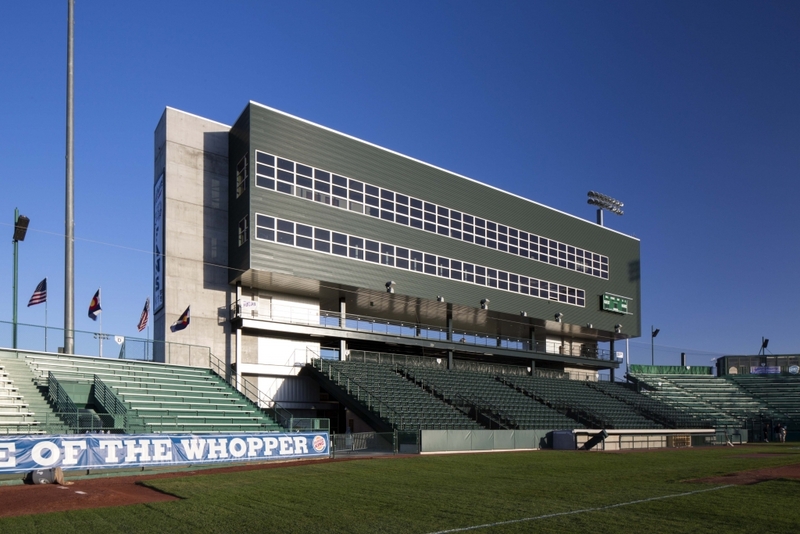 The existing press box was demolished to make way for the new, so a temporary press box and bleachers were placed on site to accommodate the fans and media in attendance at each game.